The Teri Shell for Prima Miche bags is playful and carefree, perfect for those occasions when you let your hair down and dare to enjoy a little fun with fashion. 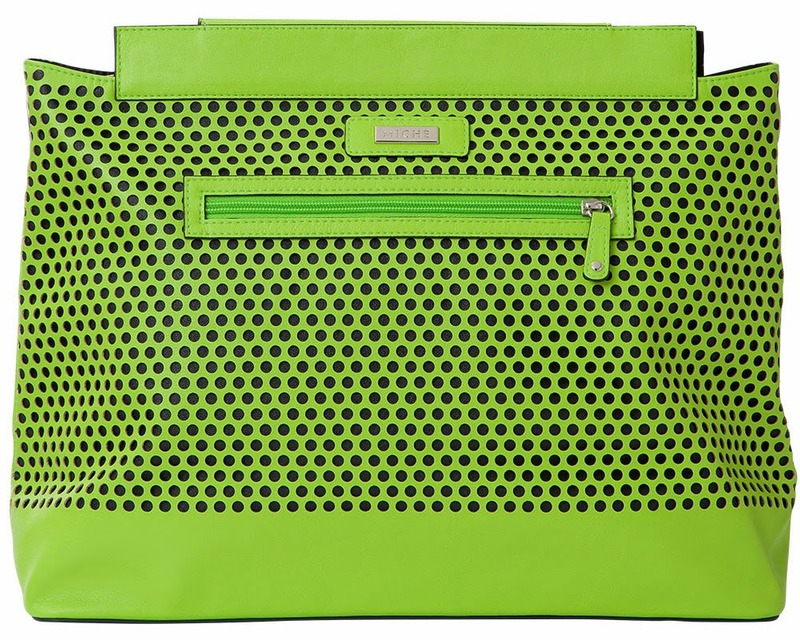 Smooth faux leather in bright kiwi green features polka-dot perforations with black accents peeking through. A sassy front zippered pocket is the perfect finishing touch. Silver hardware.